I haven’t posted in a few days as I had a few disasters in the kitchen this week. I have come to the conclusion that I am simply no good at cooking traditional Chinese food. I can get the balance of tastes but not the rich stickiness that some dishes need. It is possibly due to my wok, the quality of ingredients I can get here or just my inability to cook. Anyway my Chinese food kinda failed. So with summer now officially over and the dull wetness of autumn setting in, I decided to hang onto the last hopes of summer today and made a really yummy dish for lunch. I love the colours of summer and the feel of light meals. 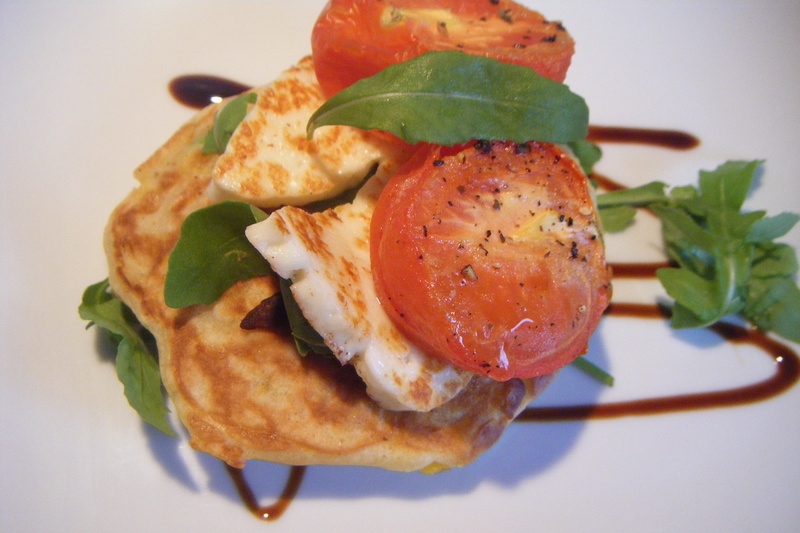 I made sweetcorn fritters with halloumi and roasted tomatoes. Ideally would have been better eaten in the garden with a nice glass of prosecco but alas it’s raining outside so I scoffed these fritters siting on the living room floor while looking through food magazines and watching trashy television. In it’s own way it was bliss. I have a long list of foods I want to make, and it’s funny as I just read through it and it is a remarkably wintery list. Lots of pies, one pot bakes, stews and winter veg but I am clinging onto the ideas of summer and resisting the urge to put the heating on and wrap up. These are really great with a salad, or dipping sauce or with barbeque food. But they always remind me of the summer! Heat the oven to 180 °c/160 °c (fan oven). 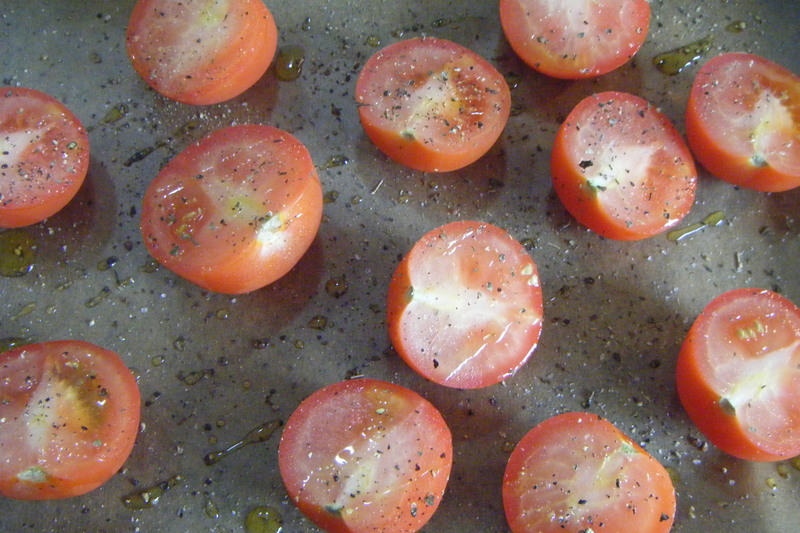 Put the tomatoes onto a baking tray, drizzle with olive oil and season. Pop into the oven for 40 minutes until they look like they are melting. 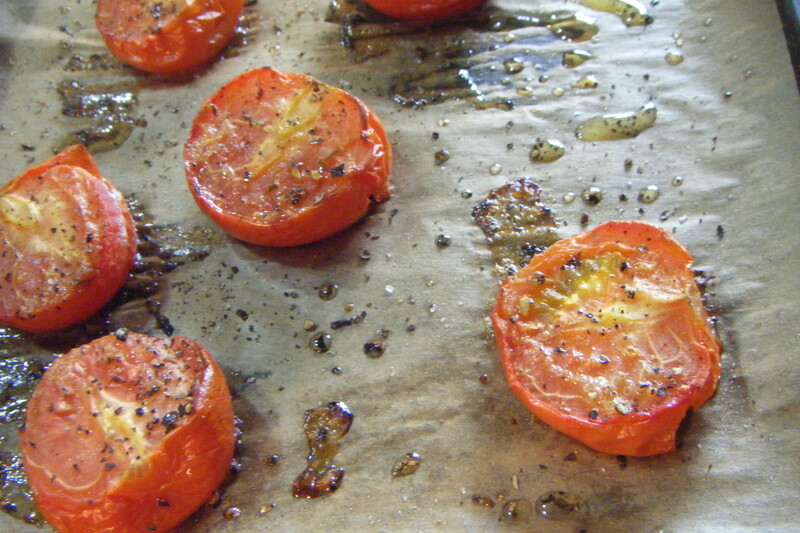 While the tomatoes are cooking, mix your flour and baking powder in a bowl. Whisk in the egg and milk until it forms a nice smooth batter. 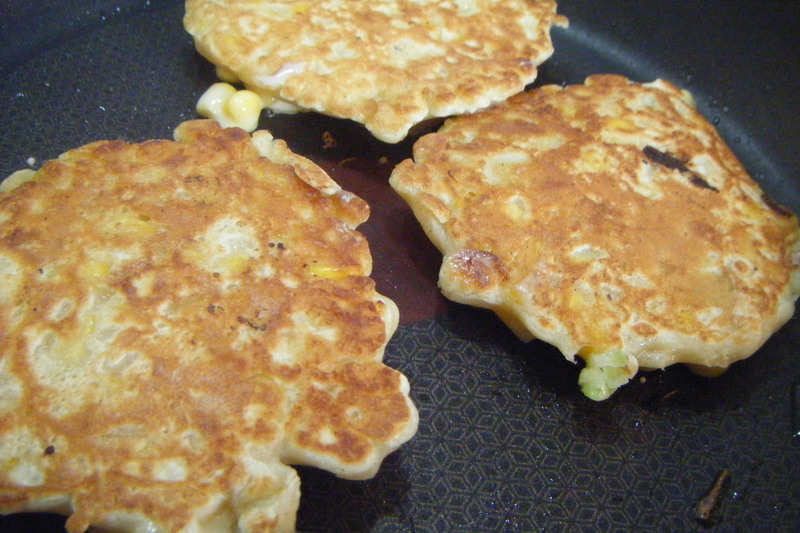 Throw in the corn and spring onions and mix. Season! Heat a large frying pan (non stick) and drizzle with oil. 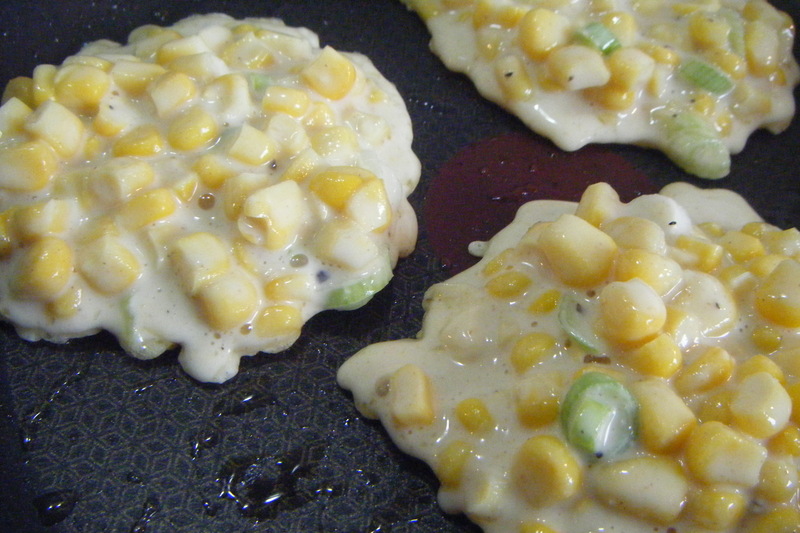 Spoon a tablespoon of corn batter into the pan and repeat. Cook for 2-3 minutes on each side and turn. Keep warm in the oven as you can only fit so many in the pan at one time. 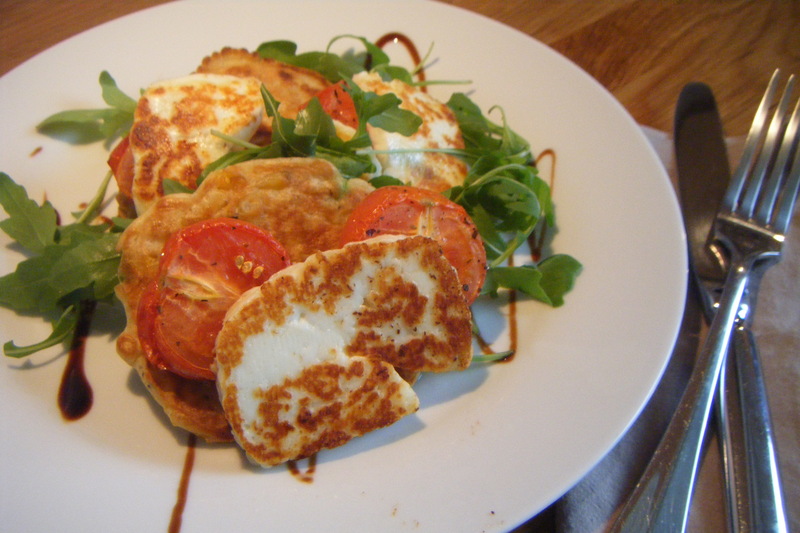 When the tomatoes are ready, remove from the oven and grill or fry the halloumi until golden. 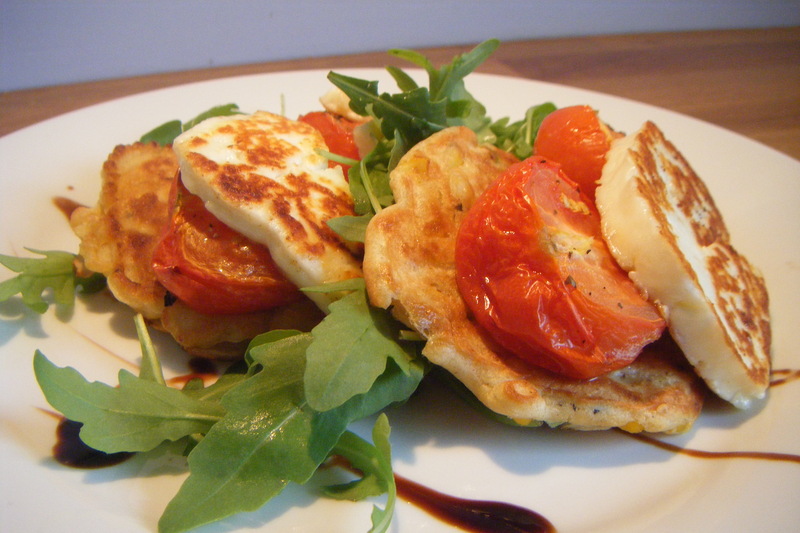 To serve, stack the fritters, tomatoes and halloumi and sprinkle rocket in between each layer.